I am in a constant state of wanting to be inspired, while getting organized, while being more frugal and less wasteful. Here is a project that combines all of these things. 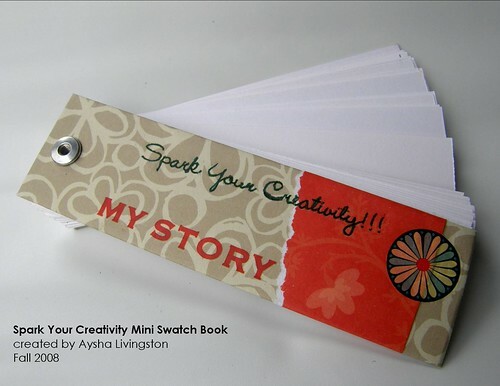 It is a mini swatch book that I created using paper scraps (that would have otherwise been thrown away) from a previous project. It is a neat and tidy little book that I can use to sketch, write out and organize ideas for projects. This booklet came together rather quickly…maybe I’ll make some more to share.